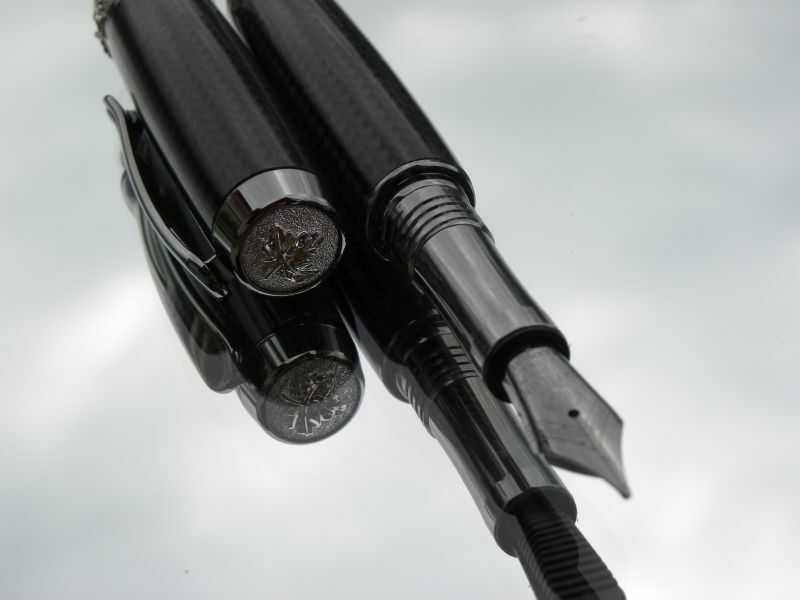 The Jr. Aaron Pen was designed with the discriminating pen collector or corporate executive in mind. The highest quality components are used, and the Aaron boasts elegant engraved leaf insets on the cap, center band and barrel ends that have plated in rhodium for a sparkling accent. In the custom of some of the finest pens, the Jr Aarons postable design promotes a perfect balance and an effortless writing experience. The Jr Aaron will come with a high quality #6 Jowo nib. Postable Cap. The Jr. Aaron is available as a Fountain or Rollerball in either Black Titanium & Rhodium, or Chrome and Gold Metal Combinations.